We encourage all our arriving guest to first meet us in Fauna Fly shop Bled, before proceeding to the Fauna Lodge. Doing that, a dedicated fly fishing plan and fishing permit for the next day can be handled to them. But in case the arrival does not meet the opening hours of the Fauna Fly Shop in Bled, below are a few maps to find the Fauna Lodge directly. A wise thing to do is contact us via email or our duty phone 0038641633147 a day or two before the actual arrival to fine-tune the arriving details and make the very latest check on the weather and river level condition! Small by square meters, but big by fly fishing hart! Fauna Fly shop can be found if easily driving threw town Bled.. down the hill from the only traffic lights you gonna meet once in town Bled, we are the 1st building on the bottom of the hill. Your right hand side, building carries a name Panorama. Park at the nearby hotel Toplice and meet us at the Fauna fly shop! Still having troubles finding us? Just dial 0038641633147 and we will give you live call help. Any EU language you speak – we understand it! When arriving to Slovenia via air freight, try to find connection which lands on the Ljubljana airport – Joze Pucnik airport. 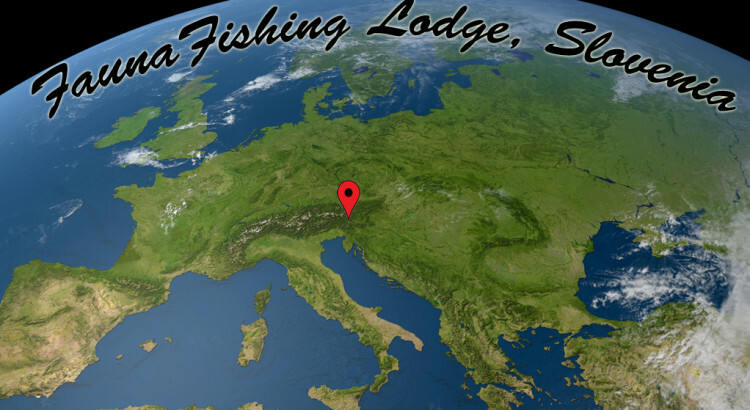 This will make you only 25km away from the best fly fishing spots and from our headquarters in Bled. What is also wise from you to do is hiring a car at the airport. That will make you flexible to reach every river in Slovenia in case the weather and river levels go bad at your main rivers you are going to fly fish. Feel free to contact us if you need some help regarding the transportation issue. On request we can always send a taxi to pick you up. 20 minute drive to Bled only!